Electrical installations in modern hotels must meet the highest standards of design, functionality, and ease of use. On the occasion of Light + Building 2018, JUNG presents its timelessly designed products and convenient solutions for the hospitality sector. also available with a real glass cover as well as the plastic versions. 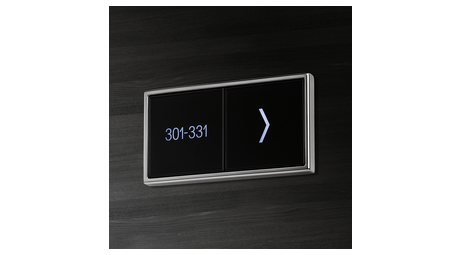 The symbols are then concealed when not switched on – giving a particularly subtle, elegant appearance. 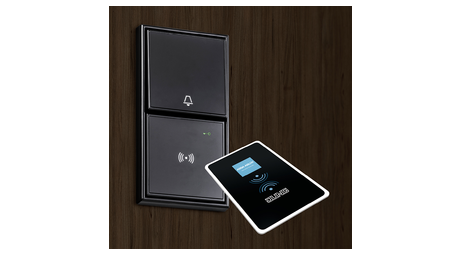 The intelligent hotel card switch in JUNG design works with the Visionline software from Assa Abloy Hospitality. Alongside coloured feedback LEDs with individually adjustable lighting colours, the device also has the option of storing different profiles: for example, where the guest card starts a light scene with appropriate climatisation, the personnel card only switches on the necessary basic lighting for cleaning. symbols make it easy for the guest to select the appropriate climate mode for their own comfort. The "Eco" mode, one of four operating modes, meets the requirements for more energy efficiency. The display is darkened in the idle state so that the sleep of the guest is not disturbed. 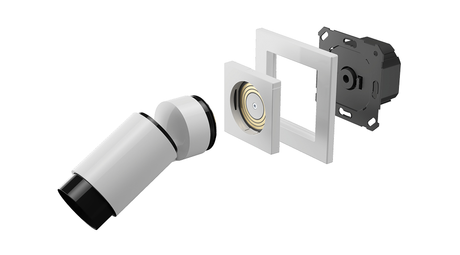 In the course of Light + Building 2018, a real innovation in the field of lighting control celebrates its debut: Plug & Light is the first lighting socket that offers maximum flexibility in planning. For functionally secure lighting design, with a fitting switch design, as Plug & Light fits in all standard, European wall boxes. Only the position of the sockets and switches for the future light sources need to be planned during the building process. The appropriate design and the desired light attachments can be decided on at the end or after completion – the use of new Plug & Light lamps is possible at any time. The appropriate LED light attachments dock onto the lighting socket using magnets. For example, the wall uplighter in a hotel room – rotated into the correct position – becomes a reading light in the evening. The 12V low voltage makes the system childproof, and a removal lock is likewise available. Insta is the inventor of the system and has already developed four light attachments for it. JUNG and Gira, as parent companies of Insta, have implemented the technology in their switch ranges. As the first lighting manufacturer, Brumberg presents 15 Plug & Light lighting systems combinable with the lighting socket in the JUNG switch design. 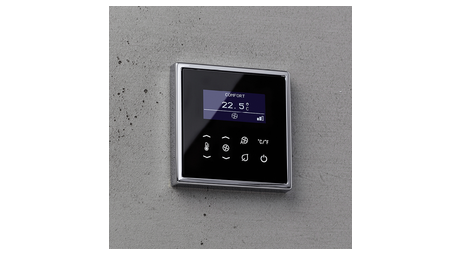 The FanCoil room temperature control provides the optimum temperature in the hotel room, whether as a conventional design or as a KNX device. 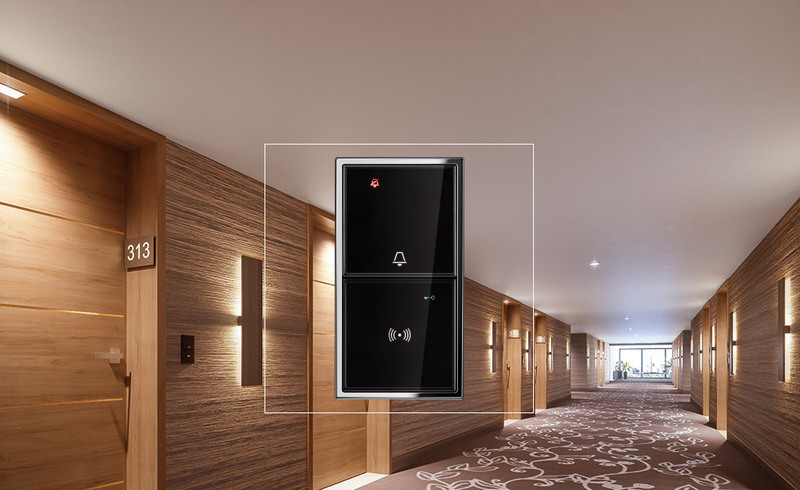 The intelligent hotel card switch in JUNG design works with the Visionline software from Assa Abloy Hospitality. 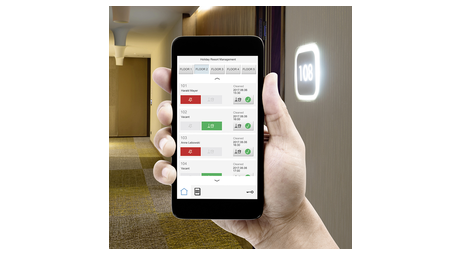 Smart JUNG building technology supports efficient processing in the everyday hotel routine. For motivated employees and satisfied guests. 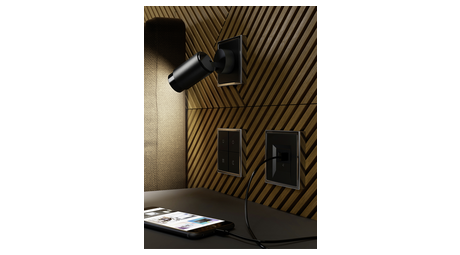 Plug & Light is the first lighting socket that offers maximum flexibility in planning. 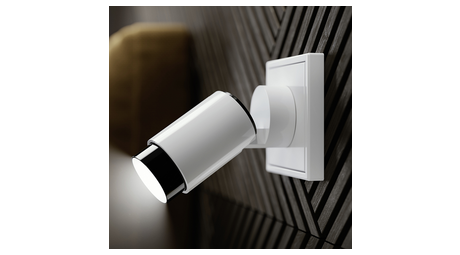 For functionally secure lighting design, fitting to the switch design. Insta spotlight in the JUNG switch design LS ZERO. The different light attachments are magnetically attached. They are all 360 ° rotatable and can be exchanged at any time. 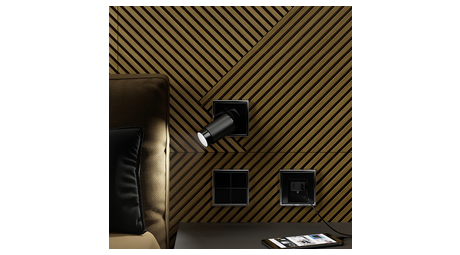 The plug & light sockets with attachable LED lights facilitate lighting planning. With simple aids for orientation, every guest finds the right way. Clear indications about illuminated signals are as simple as they are effective.